This is an edited transcript of a podcast interview between Chris DeLeon of GameDevsLikeYou and Paul Tozour, which went live on June 29, 2015. Note that since this interview was recorded roughly 10 months before it was released, some of the information in the interview is slightly out-of-date; we correct inaccuracies in italics in the notes below. Chris: Hello everyone and welcome back! This is Chris DeLeon of Gamkedo, bringing you the “Game Developers Like You” podcast. The opening music was, once again, by Danny Baranowsky, used with permission, and the opening statement from Christer Kaitila who you can find on Twitter as McFunkypants - thanks to both of y'all. Now, last week you heard the story of Jai Bhavnani, a younger game developer who has already been programming games now for a few years. Part of what the Game Developers Like You podcast series is all about, though, is bringing you a broad range of experience levels, of backgrounds, of types of game development that people are still doing today. So, today's interview is going to be a bit different. Today's is with Paul Tozour. Paul has been doing gameplay and AI programming and technical design for Metroid Prime 2, Metroid Prime 3, City Conquest on iOS and Android, MechWarrior 4, Dungeon Siege ... he's also done AI programming for Thief: Deadly Shadows, for Deus Ex: Invisible War, and some other games as well. Most recently he's been co-founder of Mothership Entertainment in Austin, TX. 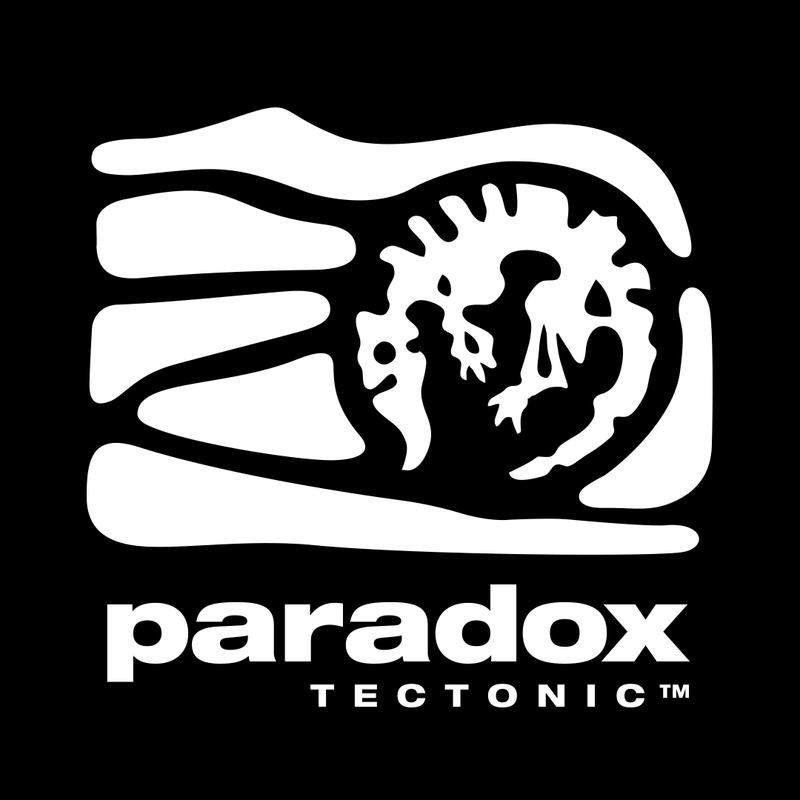 They'll be announcing their first strategy game release in the fall, to be published by Stardock Corporation. Part of what I'm experimenting with, as this is of course a relatively newish podcast, is my format, my episode length. I figured if there was going to be an experiment in having a longer episode, this would be the one - I'm going to go probably a full hour here. That's in part because Paul brings us so many different kinds and stories. He's also doing research in developer working conditions, he's also got things he's learned about negotiation that would benefit a lot of game developers out there, so I really want to pass along as much of that as I can to you. Also, as always, this isn't one of those things where it's like some sort of how-to or it's just about their games, I really want this to be about the people that you're getting to know through this... Without further ado, let's here more from Paul rather than from me. Hi Paul! Paul: Good, how you doin’? Chris: Doing pretty well, too. Do you want to tell us a little bit about your background, just to get things started? Paul: I’m a game designer, and I’m also an engineer. I’m currently one of the founders of Mothership Entertainment in Austin, Texas. We are a new studio – we’re currently in stealth mode [note: since this interview was recorded, we’ve emerged from stealth mode and announced our partnership with Stardock]. We are a publisher-backed studio, but unfortunately I can’t talk about any of the details of the game we’re working on or anything like that. Most of my experience in the industry has been a combination of technical design work, AI design, and artificial intelligence coding and things like that. Got started doing that – a couple years later, my dad was trying to convince me to become a programmer and he bought me a VIC-20. For anybody who remembers the Commodore 64, the VIC-20 was like its younger kid brother, right? Well, uh, older kid brother, I should say – well, that doesn’t even make sense! Heh. Anyway – It came along slightly before the Commodore 64, but it only had 3.5 megabytes of memory [correction – meant to say “kilobytes,” and it was actually 5 K with 3.5 K for BASIC programming]. So, one of my first memories of programming is using this VIC-20, you had to save everything onto a little cassette tape drive. And you would program by actually typing things in from magazines, right? And I remember there was this two-page spread that was a program for the VIC-20, that would basically play the song “Frere Jacques.” And I typed in the whole thing, all two pages in BASIC – and it used up all the computer’s memory! I couldn’t get the last couple lines into the VIC-20 because just the program itself was using up all of the memory! … Which blew my mind, even then. Chris: Yeah, I remember – I’ve read some of these stories from developers like Warren Robinett for Atari Adventure, where the code of the program was actually one of the specific limitations you had to work within. And the closest I’ve ever had to grapple with that was making some pre-smartphone cell phone games, was something I’d done, and that was a case where we’d have to change the code around just to make it fit in the device’s tiny memory overhead. But I imagine this must have been on a whole different scale! So what did you wind up doing? Paul: So I actually had to delete some of the comments [REM statements in BASIC] from the program in order to get it to fit. So anyway … I’m almost to the age of punch cards, that’s how old I am! Anyway, after that, I did a lot of programming in grade school and high school, stuff like that … I had a little text adventure game that was sort of like ZORK, that was a hundred rooms you could explore in, you could, you know, “PICK UP TORCH,” “WALK NORTH,” all that kind of stuff. Did a little side-scroller called “World War 1” … Really cheesy stuff, on the Apple ][c.
Chris: Ah, yes, the first round of indie game development, back in the 80’s, maybe even late 70’s, when Chris Crawford was active, and so on. Was programming fundamentally part of your education – was it something you had an opportunity to get an early start in? Paul: Yeah, I think it was him! I’m not – I don’t remember the actual name, but it was one of the people involved in developing Pitfall. But he and this one other guy had basically set up this little summer camp kind of thing, that was teaching kids how to program using videogames. But they didn’t actually teach us anything! It was just me and a bunch of my buddies sittin’ around a room, tryin’ to figure out how do you write programs in BASIC? … And we did not know how to rub two sticks together, you know? I remember on guy was doing like a hangman game, and stuff like that … and we were just terrible, terrible, terrible programmers. But it was still a really fun thing, because, you know, we had all this time, so we’re like, “OK, well, what kind of game are we going to make?” We tried to collaborate, tried to teach each other how to program in BASIC, and learn the basic concepts of programming and made some simple games. It was a lot of fun! Chris: That’s awesome to hear that that was a camp experience back then – I know that that’s still the case in many camps (in fact, probably some grad schools) today where a lot of the learning happens, really, through peer-to-peer teaching, and through teams working together, and through some, just, experimentation on people’s own time, where – you know, there’s only so much that can come from the front of the classroom. I’d be also curious to hear about: what are some of the games that you were playing early on, when you were just getting into computer games? One of the first games I played was an ancient game called Ulysses and the Golden Fleece … It was this text adventure game, but it had some graphics as well – it could draw, like, you know, 10 lines on the screen to try and make a picture with – it was so bad! I remember, one of the things that got me really interested in programming – I was a huge fan of the Ultima games. I played ALL the Ultima games all the way back through, since Ultima II. And I remember – I think I was in fifth grade – I looked at the saved-game files for Ultima II, I had a hex editor on my Apple ][c, right? And I looked at the saved-game files for – I’m sorry, the DATA files, for Ultima II – and I was like, OK, they have these characters that are 8 by 8 pixels, but they’re only saving out 8 bytes’ worth of data! So it’s 64 dots and 8 bytes of data, and how on earth do they do that, and get all that information into 8 numbers? And so I actually whipped out my hex editor and, in the fifth grade – I don’t mean to sound like I’m bragging or anything like that! – I, like, reverse-engineered binary notation, and figured out, “Oh! OK – this has got to be a 1, and that’s a 2, and that’s a 4, and 8, and 16, and so on …” And then hacked it to draw little UFOs and stuff like that, instead of the monsters. Just having that level of empowerment, and being able to see – oh my God, I actually changed something in this published videogame that I’ve been playing for months! – was incredibly empowering for me. Chris: That’s great! You know, I actually haven’t heard a whole lot about people still hex-editing their games ever since, heck, would’ve been QuakeWorld’s original Team Fortress, even before Half-Life, when I knew people who would cheat and so on, though modifying their QuakeWorld client files and stuff with hex editors, and … I guess some of the original modding tools for Command & Conquer and so on, were also reverse-engineered for people who were hex-editing the data, and … So I guess you were modding, right? I mean, it was really what you were doing with Ultima. Paul: Yeah, exactly! I was modding Ultima II back in the day. Chris: What was that transition like, going from, you know, just making those games on your own as a hobby – into, how’d you find your way into the industry, maybe with some educational stepping stones along the way – what’s that story? Paul: I got into the industry in 1994, and then in 2009 [Ed: we're skipping way ahead here to focus on education at the moment], I basically went to get an MSE degree – it’s the Executive Master’s in Technology Management from the University of Pennsylvania, that’s co-sponsored by the Wharton School of Business. I was sort of at a point in my career where I had worked at all these different studios, and I was sort of feeling really frustrated with the game industry, and … just the sense of, like, I’m seeing all of these projects, that – some of them are brilliant, but some of them I can see going off the rails, but when I see them going off the rails, it feels like there’s nothing I can do about it! So I really wanted to go and learn from the management experts at the Wharton School of Business – what can I learn from that …? Chris: OK, so, from the – at least for your advanced schooling, it was very much more so, coming from the management and business angle. Chris: That sounds really valuable! You know, many years ago, Jesse Schell, professor at ETC at Carnegie-Mellon – he used to say that a lot of computer science students would complement their education with a business [degree], either double-major or minor … Part of it led me down that track, too. I’d be curious to hear what your experiences were like there, where you were really able to focus in on the graduate environment on the business skills for engineers. Paul: Oh my God, I cannot begin to tell you how awesome it was! From my experience – you know, people debate all the time about the merits of going to business school. From my experience, if you can find a good business school, just don’t hesitate – jump right in, it’s totally worth it. Chris: I’m glad you’re focusing on that negotiation aspect because of course we think about game development skills as being: programming, art, music, sound effects, all kinds of design … Maybe to an extent, we think about production and team management, but negotiation is itself also a really pivotal skill in making games that reach people, right? Paul: Especially as you start to grow, and as you start to work with publishers – trying to put a publishing deal together, there’s a TON of negotiation involved with that, no matter how good your relationship is with your publisher. Chris: Yeah, I could’ve really benefited from some additional negotiation training before – these are even with people I’d worked with before, people I liked, at both the publishers I’d been involved with, when I was just doing iPhone game development … Man, it can be really, really intimidating, because they have so much of the power, so much of the money on their side of the table – figuring out, how do you go toe-to-toe with that, and not come out just torn apart? Paul: Yup … It is, it is! And you’re the mouse, and you’ve got to watch out for the big elephant feet, and a good class in negotiation can REALLY help teach you how to do that. Chris: I’d really be interested in hearing – and I suspect a lot of listeners would also be curious to hear about – what are some of the takeaways that you gained about negotiation from your additional education? … You know, obviously, as much as it can be compressed into this discussion! Paul: Actually, there are a whole lot of them! It’s funny – we would do these exercises in our negotiation class where, every class we would come in, we would have these sheets set up in advance, so that we would know, OK, in this negotiation, it’s you and one other person, and you’re going to be buying the house, and they’re going to be selling the house. Or, you’re a basketball player, and you’re negotiating for a higher salary, and they’re playing the role of your coach [or rather, the team owner] – trying to talk you down. And you end up spending the first hour of class actually doing this negotiation. You’ve got to try and understand, what do they want, what can I realistically get away with? You can push things a little bit, but you’ve got to be really, really careful, because you’re taking a risk every time you do that. Chris: Yeah, I can certainly see how that’d be a novice mistake, to go into there, thinking that “we’re going to wind up at some average between what I say and what they say,” [ed. – this is related to the negotiation concept known as “anchoring”] … and maybe overstating or overthinking how much that can really work in their favor, not realizing that of course, oftentimes the end result is just that the deal doesn’t go through at all, if it gets off on the wrong foot. Paul: Yeah, and don’t throw your “anchor” through the other guy’s boat. That’s not going to be – it’s not going to be very productive! And another thing in negotiations that’s super-useful, is also, if you’re negotiating about, like, a number, like salary, and how much to buy a house for, and things like that – it doesn’t necessarily have to be all about that number! You can throw other things into the mix. Like, what if I gave you this one little thing, that means nothing to me, but maybe it has some value to you? To shift a bit from the negotiation and business side to the technical end, what are your preferred development technologies? Paul: So of course, I take things from a bit of a different perspective, because I’ve basically been using C++ my whole life, right? Ever since I got into the industry in ’94 -- and even long before that -- I was programming in C++. So, I’m a huge fan of C++, because I can get a ton of things done with it. Chris: Is that typically C++ starting from the ground up, or was it usually within some other existing engine? Paul: Usually it was some kind of custom engine. Every studio that I’ve worked with – some of them used different licensed engines, but most of them had their own engines. Like when I worked at Retro Studios, they their own engine called RUDE, and that was entirely written in C++. Chris: So it’s not like you’re directly writing DirectX code or something like that. Paul: Exactly. So when you’re working in AAA like that, typically they’re going to have their own engine, or they’ll be licensing Unity or Unreal or something like that. I’ve very seldom had to use DirectX directly. Chris: So what’s going on with your current company? Paul: Just to give a bit of context, we set up Mothership Entertainment – myself and my three co-founders – back in October [of 2013]. We knew exactly what game we wanted to make, but we had to figure out what engine to use for that. And we – we’re basically much too small to write our own engine for the kind of game we want to make. Paul: The Witness, yeah! He’s doing it all in his custom game engine. And that makes perfect sense, ‘cause, you know, he’s a hell of a programmer, but in our case, we just wanted to be able to focus on gameplay. And so we evaluated a whole bunch of different engines – we evaluated the C4 Engine, we evaluated Unity, and also, a friend of mine was able to get us in the beta for Unreal Engine 4. [laughs] ... You know, we’re a small studio. Paying a hundred thousand bucks for an engine – that’s just not even gonna fly. And this kind of ties in to two things that have been big hot-button subjects for me for a long time, which is: how you actually interact with a game engine. THAT’s what’s really really important to me about a game engine. So, for me, looking at the big picture, the combination of C++ and Blueprint is really a “best of both worlds” scenario, right? Because C++ is pretty much the fastest game programming language you can get your hands on, and Blueprint is pretty much the best scripting system for rapid development. Paul: So for me, basically – you know, again, I’ve been using C++ 20 years – there are things in the C++ language that I as a developer don’t want to work without, right? Const-correctness – robust const-correctness – is hugely important for me … the Standard Template Library; I’m very very productive with that, and there’s no other language that has anything that’s quite like the Standard Template Library … Also, a language like C# or Java has garbage-collection, and there can be a significant performance cost involved in that, and a lot of developers that I’ve talked to that have used Unity, have had to go through a lot of extra hurdles to get around the performance cost of the garbage-collection. So anyway: that’s why I really like C++. It’s fast, and really it’s a fabulous language and it has this wonderful ecosystem around it – it’s got all these compilers, all sorts of documentation, profilers, debuggers [ed. and static code analysis tools] and so on. Chris: I just want to take a quick moment to explain for listeners out there who’ve maybe heard of garbage-collection, heard of memory management, haven’t had to deal with it directly – what that’s all about is that in C++, someone has to manually be in control of, every time, they free up memory that they allocate. What that means is, every sound they want to play, every model they want to display, every text string that they want to use as words on the screen someplace – they, as the programmers in C++, have to be responsible for, when that piece of memory is done being used, and when and how to clean it up. … Whereas a lot of more modern languages and environments rely on what’s called “automated garbage collection,” which periodically tries to clean up things for you. Which, of course, what Paul’s talking about here is that, when you’re not in control of that, you lose some of the performance control over stability, and frame rate, and so on. But to move back from there into – you know, also, you mentioned Blueprint, which is another system people who haven’t tried Unreal before might not be familiar with. Can you tell us a bit about that, and what you like about it? Paul: Now, I have this thing about scripting, and scripting languages based on text. So it was this really tricky situation where – their scripts would be crashing all the time, and I would have to run over to the design pit – toward the last couple months of the project, I’d be running over to the design pit, and trying to help them figure out, OK, why is this script not working? Why isn’t it doing what it’s supposed to? And if I couldn’t eyeball it, I’d essentially have to take that script, copy it over to my own machine, and reproduce it in the debugger and actually step through the C++ code underneath ABL. Chris: Right, those scripting languages tend to kind of grow out of control, become a programming language in themselves … which, by definition, of kind of its position in the development process, is set up to be used by non-programmers! Right? Which I guess is the source maybe the source of a lot of these problems. So ever since then, I have had this sense, very very strong feeling – I’m a bit of a zealot – that text-based scripting languages need to be taken out behind the barn and shot. One of the tricky things about scripting is, people tend to talk about scripting, and they use the word “language” – scripting “language” – and that carries this implicit connotation that you need some sort of actual language, that there needs to be text involved, and there DOESN’T, right? – People were able to do amazingly complex and sophisticated scripting using that system that was entirely built inside the editor, and there was not a line of text in the whole thing. Chris: That’s really awesome to hear! You know, it’s so rare for us even to get a little – even just a glimpse into the kind of development processes on projects of that scale – but I guess oftentimes, too, tools like that can often also just lead to patterns of – things that are easier for players to understand, perhaps. Paul: Exactly! Yup. And Retro Studios was able to make three award-winning games with that trigger system for essentially ALL of the scripting. So, it was fabulous. So for me, a system like [Unreal Engine 4’s] Blueprint is like the next level in the evolution of scripting systems like that – it’s type-safe, it’s got flow control built in, there’s a debugger in the system – you can actually set a breakpoint on a certain node inside your blueprint, and say, “Stop the program when it gets to here,” and then I can step through it one at a time, you can do variables – almost everything you can do in a real programming language, you can do in Blueprint. So, again: C++ and Blueprint, to me, really is a best-of-both-worlds scenario, because if you have something you want to make fast, and you have programming skills, you can do it in C++, to make sure you can get the optimal performance out of it. But if you don’t have the programming skills, or if you just want to rapidly prototype something, you can use Blueprint. At my studio, essentially we’ve got two programmers and two artists – even though I’m a programmer, I end up doing a lot of my work in Blueprint because I go, “Hey! I just came up with this neat idea for something that should happen in our game,” – I can whip it up in Blueprint in maybe 5 or 10 minutes, and then if it works out and we decide we like it, I can then take that and turn it into C++ later that afternoon. Chris: Yeah, I mean, even for Unreal Engine 3, my brief period of time in AAA, we would do a lot of the same kind of thing, where designers would code up things using the Kismet system, maybe kind of a predecessor to Blueprint, just dragging and dropping nodes together, to get the core gameplay working or functioning – or even in the core UnrealScript layer back when that used to be a part of the engine. And if the producers signed off on it, if the rest of the team liked how it looked and felt and played, then the dedicated software engineering team would take those features, tear out the hacky thing we’d done through the visual scripting, and then go in there and do it properly in C++ so it could be performant. Chris: Now equally of interest, I’m sure, to a lot of listeners, because you investigated Unity as a possibility before choosing to go with Unreal, are there some pros and cons, or some strengths across the street, so to speak, that you’d like to speak to about how Unity is different from Unreal – maybe what kind of situations it might be a better choice? Whereas Unity seems like it’s really good for scrappy solo developers, small-team developers, amateur developers … I’d be curious to hear about the size of your team and how you feel that has, or hasn’t, been the case with Unreal Engine 4, in contrast to, maybe, previous versions of the technology. Chris: Now since of course, like you say, you have been doing this for decades, and this is a commercial project you’re undertaking with your company, I’m assuming – are y’all funded? Are you self-funded? Where’s – what’s the business side look like, and that perspective? Paul: A lot of it comes down to … Well, first of all, they have access to a fairly dedicated customer base. And it’s going to be a lot easier for us to access that customer base with a partnership with them. One of the things I’m really passionate about is artificial intelligence. And pretty much – most of the main people at our publisher are developers; they really understand this type of game, and they appreciate how important artificial intelligence is for a game. Chris: That kind of alignment, if I’m reading correctly, has to do with making sure y’all stay on the same page throughout a longer development arc, right? Paul: Yes. That’s extremely important. And one of the things I’ve learned is that right when you start any kind of a partnership, whether you’re interviewing for a new job, or hiring people for your new company, or picking people to co-found a company with – ask a LOT of questions to figure out where their head is at, and what kinds of things do they value? What kind of working environment do they want to create, what do they really respect about different kinds of games – things like that. What’s it going to be like to work with them five years down the line? Chris: Was it Myers-Briggs? One of those kinds of things? Paul: No no no, it’s not Myers-Briggs, we have our own completely custom test, that I put together partly based on my experiences in the industry, and partly on what I learned from my MSE degree. But we basically have this – and I can’t really go into the details of it, because of course some of your listeners may end up taking this test in the future! – but basically, we tell the story of a game studio that’s having some problem. It’s a five-page story of, you get a call from your friend, and he’s explaining to you all these issues that they’re having, and it basically asks you at the end, put together a plan to figure out: what ARE the problems that the studio is having? And then what steps would you take to address them? Chris: That sounds like a case study! Like law school, or business school. And it’s just fascinating the answers you get from different people. Chris: So this interview case study isn't about a game design challenge, it's not about a technical puzzle to solve, it's one about human politics, an office, a team, about – running the business, right? Paul: Yup! Those kinds of things are so, SO important – in fact, one of my favorite classes when I got my MSE degree was with Professor Adam Grant of the Wharton School of Business. He wrote a fabulous book called Give and Take. The thesis of his book is, like: giving is one of the most incredibly powerful things in business, and people always, always undervalue it. And how to – how to give more, and how to succeed as a giver. But basically, I was in this Organizational Behavior and Design class, and it was taught by Professor Justin Berg, but Adam Grant was one of the guest lecturers in this class. And it just blew my mind, because they basically presented this entire model for what makes an effective team – how do you build an effective team, how do you diagnose a team when it goes wrong, how do you make sure a team stays effective over time? And it’s all backed by validated management science, right? But, I’ve also worked on some teams that were pretty dysfunctional. Chris: That sounds immensely valuable for people out there, no matter whether they’re studio head, or whether they’re an employee, thinking about joining a studio, or just people on a team, right? Are there some resources you recommend that people could maybe … is there a book they can read, is there a lecture they can listen to and look up, for those who can’t necessarily take the years for the advanced education in business …? [Ed. – Since that time, the Game Outcomes Project has been completed and its results released right here on Gamasutra. Note, however, that only around half of the 9 members of the Game Outcomes Project team were part of the IGDA Production SIG, and the SIG as a whole was not ultimately involved in the creation of the study. And essentially, what we’re gonna do is, we’re gonna ask a couple hundred or a couple thousand developers all sorts of questions about culture and things like that, and how did your production work, and so on and so forth, and also ask: What was the outcome of that? Did the game sell? How was it reviewed? Was the team happy with what they produced? … And just see what kind of correlations we can come up with. So essentially taking a lot of the aspects of what I learned in that class, and then seeing if we can put together a study that’ll allow us to see – based on the experiences of a couple hundred or a couple thousand developers or however many of them end up taking this survey – what are the real causal factors that make a team more or less effective, more or less likely to actually ship their game at the end of development? How do you see that affecting, or not affecting, outcomes – the fun that developers have in the process of making games? Paul: People are going to hate me for saying this, but I don’t think he’s totally wrong! My father runs an air-conditioning company in the Philadelphia area. And so, I sit in on the Board of Advisors meetings, and I’ve been somewhat tangentially involved in that company. But it’s just fascinating to watch the differences between an air-conditioning company and a studio in the game industry – it’s just night and day. And I gotta say, I’ve learned a lot from the air-conditioning industry, in terms of how management should actually work, and how a well-run company really, really operates. ... It’s left me very humbled, I have to say. Chris: So, I have not been in an air-conditioning company, but I have been in a number of different game development studios – I can tell you, I couldn’t see them doing air-conditioning work … Can you – how would you sum up what the key differences are? Paul: OK, here’s one thing: when something goes wrong at my dad’s air-conditioning company, a manager is going to be very, very careful to step in and diagnose what’s going wrong. That’s, I think, one of the things that they do really, really well, that I have not seen happen very often in the game industry. They understand, “OK – here’s a situation, maybe we’re not being as productive as we should be, or maybe there’s a conflict between two of our employees, or between part of our team and a vendor …” something like that, and they’re very very careful to gather all the facts, and figure out: what is really happening, and what intervention do I need to take to solve this as delicately as possible? You know, whereas, in the game industry … it doesn’t really happen that way. Chris: I guess maybe for a variety of reasons, people get so creatively wrapped up in it, they get their ego in it, and maybe it becomes harder to deal with those politics up front, just within the office – when there’s not that kind of separation between the person and their work, maybe? Paul: Yeah! And often … often people will let a problem just fester until it grows way out of control. Or they’ll try and use management tools that are not really appropriate for the job. I worked with one individual at one point in the past who used Freudian psychology. He thought he could psychoanalyze everybody on his team. Chris: Sounds like some sort of SNL skit! And you just … just don’t ever do that. Chris: Sounds like quite a character! … A big part of it, I think, is that the game industry tends to just promote from within. Producers and artists and programmers and designers end up essentially getting elevated into management roles. And a lot of times, especially if you’ve got, like, a programmer, who’s maybe a really really talented programmer, but the skill set you need as a manager is completely different, right? And I’m like, are you SERIOUS? I’m just coming to an interview with you and you’re telling me this about your company …?!? So anyway … the President of the company shows up like 15 minutes later, takes me around and has me meet everybody, and he’s like -- as we’re talking, he’s acting like I have the job already and showing me all these different aspects of their game engine and their technology. He basically tried to tell me that all of his employees were just like automatons, and that they didn’t really care about respect or anything like that, that it all came down to money, and that as long as they were paid well, that they would continue to do their jobs ... and that he didn’t think he had any obligation whatsoever to care about people’s emotions. Chris: On the plus side, at least that problem was so evident that you were able to pick it up before you even wound up working there! Paul: Yeah – exactly! It was unbelievable. That’s the one and only time I’ve ever walked out of a job interview ... and he was gone about 6 to 8 weeks later. Yeah, and I was trying to tell him, as we’re doing lunch, you know – from everything I’ve seen, game teams usually fall apart from within. It’s because the teamwork is so incredibly difficult, and you’ve got to have respect for that! Chris: Maybe to restore some people’s faith in humanity – what does a good, functioning studio look like that you’ve seen? Paul: Yeah, it’s amazing, just the differences between game teams! And it’s incredible – and it doesn’t have to be any one way. And again, when I worked at Retro Studios, that’s definitely the best large studio that I’ve ever worked with, by far … I came on board shortly after Metroid Prime 1 had shipped. And it was an incredible experience, because everyone – they had this fully-functional toolset; everybody knew exactly what their job was; everybody knew exactly what a Metroid Prime game was supposed to be; they had excellent design supervision from Nintendo Japan … so the whole team worked together like this well-oiled machine. It was just wonderful to be a part of that while I was there. And I’m really thankful for that. Chris: Sort of zooming back in to your own work and interests, are there particular elements of games that most interest you? It’s funny, ‘cause my interest in AI starts out from failing at it. Back in – ’96 to ’98, something like that – I did a little real-time strategy game called WarBreeds. This was back from the era of Age of Empires and Total Annihilation and stuff like that, when all those big RTS games all came out in the late 90’s. And my game basically got buried under an avalanche of competing RTS games. But we got to a certain point toward the end of the project, where we started to realize that the AI wasn’t coming together. And that I hadn’t ever really designed the AI – I was supposed to be the lead designer on this RTS game, but I’d never designed how the AI was supposed to work! And suddenly our AI programmer left like 2 months before we were supposed to ship! And we took a look at his code, and there was almost nothing there – it was like, 2 pages of code that didn’t work at all! And fundamentally, that’s my fault, right? ‘Cause if you’re a project lead, you should know what’s happening. And how could I let that situation fester for so long? So, you know – I gotta cut myself a little bit of slack, because it was my first project …? But still – TERRIBLE mistake to make! And so essentially, I strapped on my little Superman cape – I was able to negotiate an extension to the project; we hired a contractor; we slipped the schedule for 6 months, and I learned, “OK, what the heck is this ‘AI’ thing? How do you program artificial intelligence? How does pathfinding work? What’s an ‘influence map’?” And stuff like that. You know, I had burned myself out working 80-hour weeks on this project for more than a year and a half, and now suddenly finding out that, OK, AI is this whole component that we’ve been ignoring, and now we’ve got to try and finish it! So anyway – it was a real eye-opener for me. And so at that point, I really started to get more into advocacy for artificial intelligence – writing articles about influence maps and things like that; also writing articles about navigation meshes, back when navigation meshes were still relatively unknown – trying to popularize that. Chris: Of course, that’s a technology – an approach that’s really grown since, right? And it’s an incredibly important part of every designer’s toolbox, in my opinion. Every designer should understand AI, should understand how to design characters and character behaviors. And a big part of my interest in AI was realizing, when I was wrapping up WarBreeds, that OK: this is a HUGE part of game development that I was totally ignorant of, and I need to turn my biggest weakness into my biggest strength. So anyway, I did a lot of advocacy over the next 5-7 years, something like that, and basically had this feeling, like, you know: we need to try and raise the state of the art in artificial intelligence. Chris: Yeah, I guess there’s only a few kind of ways we normally wind up seeing AI in so many games, whether it’s a really old-school, mechanical “bouncing off the walls” kind of thing – if it’s a little more modern, heavily kind of scripted, heavily hand-designed, node-placed kind of duck-and-cover kind of AI, or … Other than that, I guess, when people try to make multiplayer into single-player, by throwing bots into it, right? Chris: What are some resources that you would recommend people out there who’d like to get deeper into AI look into? Paul: There’s an incredible amount of tutorials out there right now on AI; there’s AIWisdom.com, which is Steve Rabin’s website; there’s the AI Game Programmer’s Guild, which is run by Dave Mark and Steve Rabin; there’s also AiGameDev.com, which is a wonderful resource for learning about artificial intelligence and what the current state of the art is, that’s run by Alex Champandard … and there’s also the AI Sandbox. So I would encourage your listeners to Google all of those things, ‘cause they’re all fabulous resources. Chris: And now even broader than that, what advice would you have for people who are just looking to make games AT ALL? … People who are new to it, coming into it, and – they would like to make games too. If you’re – if you have a 9-to-5 job, you’ve got a decent income stream – DON’T think you can quit your job and just make a game for the App Store and have the next Flappy Bird … that’s … pretty unlikely to work out. Chris: I’m glad to hear you say that! You know, that’s something that – Flappy Bird has become this lightning rod for people who don’t understand statistics, or don’t recognize: there’s thousands of new apps coming out literally every day – that that exception to the rule does NOT make it a hopeful plan of, maybe I’ll make the next Flappy Bird on my first game, right? Paul: Yeah! Yes. Yeah, and the App Store and the Google Play market, are just – they’re just kind of a massacre right now. So it’s great, as long as you just have realistic expectations of what you’re getting into. And it was just such an amazing educational experience for me, even as a developer who had already been in the industry for a decade at that point, just to do this whole vertical slice of an independent mission in Morrowind all by myself, and find out everything that’s involved in taking that from start to finish. It was wonderful! Chris: I think a lot of people out there fundamentally misunderstand, or don’t realize, that when you take those modding tools, and you make a mod, and you find ways to do it in your free time, your spare time – you really have TOTAL CREATIVE REIGN, right? You can do ANYTHING YOU WANT, as opposed to – you know, the people who are getting paid daily to work on those games for Bethesda – now, don’t get me wrong, I’m sure they’re happy and fortunate to be there, I’m sure it’s a great company with great people – but they have a LOT less total creative control, as part of a humongous team with financial pressures, than the person at home with a mod kit, right? And that can be really, really difficult! … It’s like watching somebody sacrifice your baby. It’s hard to deal with! Chris: Now that you’ve been a game development professional for decades, are you still making side projects of your own? Paul: Yeah! Occasionally … occasionally I would do little side projects and experiments and things like that. Sometimes it was purely technical concepts around AI, things like that, and then sometimes it was making little games, or mods, just like that Morrowind mod … and it was always just a wonderful, wonderful educational experience. So if you have the time to do it, I highly recommend it. Chris: What are some of the changes that you’ve seen in the game industry from the time you started to the situation you’re working in today? We’re FAR better at doing things like artificial intelligence; there’s a lot of robust solutions out there for doing pretty much any rendering or physics thing you can even think of … It’s a lot easier to stand on the shoulders of giants nowadays. Chris: Is there something on the horizon, or in the upcoming future, that you’re particularly excited about? Chris: Of course CastAR’s gotten a little bit of press since, but not quite the same name recognition as Oculus; can you tell people a little bit about it? Chris: They were working on this first at Valve, right? Paul: Yeah! At Valve Corporation. And basically they left Valve, and Valve was kind enough the let them have the augmented-reality tech they were working on. I got a chance to actually try CastAR back in Austin, at a conference last year, and I gotta say, it’s really really impressive … Essentially, you have this small pair of glasses, MUCH smaller than an Oculus Rift, and it just feels like you’re wearing a normal pair of glasses. And they have these little projectors, one over each eye. And then there’s this reflective surface that’s put down on the table, that’s made of retro-reflective material, and this retro-reflective material, basically, it has this amazing property where it bounces all of the light back in the – almost exactly the same direction that it came from – to within, like, plus or minus 5 degrees. And it’s very cheap – it’s the same stuff that they use to make bicycle reflectors and things like that with. Essentially, you put on this pair of glasses, and the projectors will beam the pictures from each eye onto this surface made of retro-reflective material, and it beams it back into the appropriate eye. They’ve also got some shutters going on in there to help with the 3D effect, but it’s literally like you’re looking through the surface into this little world – this fully three-dimensional scene. And what’s amazing also is, you’re the only one who can see what you’re seeing. So: you and me and 5 other guys could be sitting around this retro-reflective cloth material set on a table, playing a game of Dungeons and Dragons – maybe you’ve got a dwarf that’s in some totally different part of the dungeon, but I can’t even see that. ‘Cause it’s only showing me the part of the dungeon that I’m in. Chris: Now of course, it is a different platform, but just because it’s one so many people have heard of, do you have some thoughts about Oculus Rift? Paul: Yeah, and I gotta say – I’m extremely optimistic about the Oculus Rift as well, but I think that all of the attention that Oculus Rift is getting is kind of obscuring things like CastAR, that – I think CastAR is also extremely cool! I’m not saying it’ll ever sell as well as Oculus Rift or anything like that, and certainly it’s not as immersive, but it’s got a HUGE amount of potential for certain genres of game. And I think it’s also going to be cheaper, and have some other advantages [Ed. – such as reduced potential for motion sickness and claustrophobia], that I think – and I don’t see it as an either/or proposition; I don’t see them as competing with each other ‘cause they’re fundamentally so different. Chris: Now speaking of Rift, kind of like Ouya, right – that came partly from the Kickstarter machine, at least in part. Paul: Yeah! You know, it’s really changed over the last couple of years. When Kickstarter had just started out, it was seen as this unequivocally good thing, where anybody could just go to Kickstarter and have a nonzero chance of actually getting your game funded … But we’ve seen SO many scams since then, as well as so many games that just completely fall apart before they even get made! Chris: Well, just like we kind of touched upon earlier – publishers, who traditionally would fund a game, also were a source of insight and advice, based on other games based on other games that they had seen ship out the door … As opposed to the case of Kickstarter, when it’s being funded by fans, right? Those fans can’t offer that level of guidance, right? I’ve started to think: maybe the better way to get games funded is to do something like [Steam] Early Access, where you at least have to have the actual game partly made and allow people to play it, and get it approved, to be on that platform in some way. And I did a similar kind of model with City Conquest, where I had a little Kickstarter for that – I think I was asking for, what, like $10k, something like that – which was only a part of the actual development costs of that game. But it was very helpful in that case, because it was totally self-funded [Ed. outside of the Kickstarter funding]. And certainly ... people like Tim Schafer and Chris Roberts, they’ve got enough fame and genuine experience in the industry that they can ask for ridiculous amounts of money on Kickstarter and get it, and … probably a good thing; you know those guys are going to actually make – their products are going to see the light of day. Chris: Hopefully, though, consumers will at least get more savvy, through having made some errors for the past few years … and increasingly do a better job themselves as investors, vetting the developers who are launching these projects, right? Paul: Exactly, right. And you’ve really got to take a long, hard look at the amount of experience that the people have who are actually backing [Ed. – meant “launching”] that Kickstarter. 'Cause that directly correlates to their odds of success; no question. I want to thank you for your work, and I look forward to seeing more in the future about the games that you're producing!